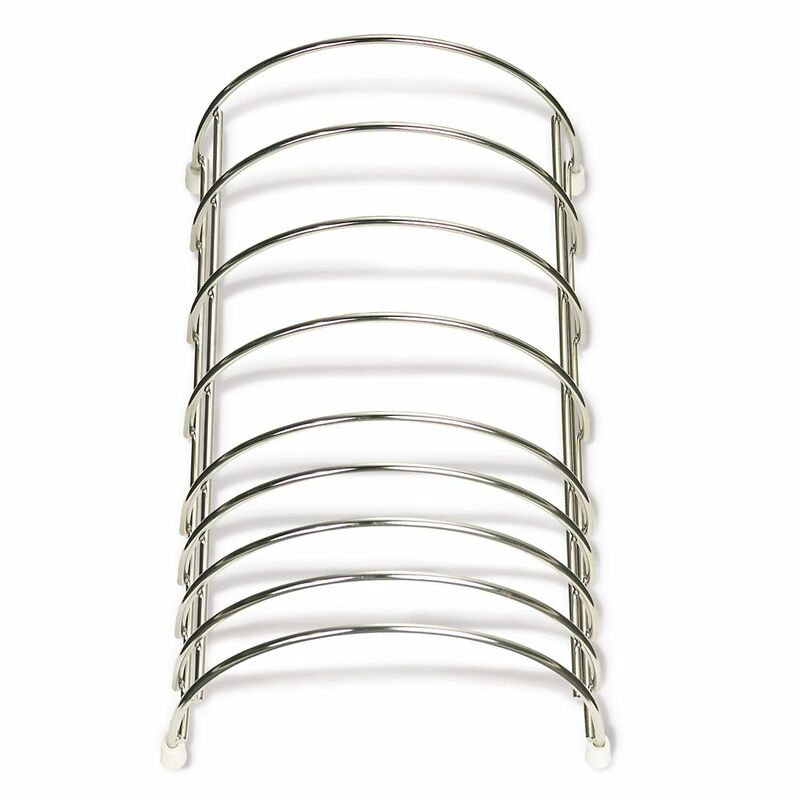 Polished stainless steel wire dish rack with rubber feet to protect sink from scratches. Dishwasher safe. Honey-Can-Do KCHZ01850 Set of 2 Lock and Link Stackable Cabinet Shelf, White. The slim, space-saving design is great for creating extra storage space in cabinets, pantries, or closets. Made with a durable steel frame and PE coating, it's sturdy, easy to clean, and will last for years. This stainless-steel rack's contour design fits perfectly into the left basin of Iron/Tones(R) Smart Divide(R) sinks, where it helps safeguard your fragile dishes and protects the sink's glossy enameled surface. This durable stainless-steel rack fits neatly inside the bottom of select Verse(TM) and Undertone kitchen sinks, where it helps safeguard your fragile dishes and protects the sink's surface.. Stainless steel dish rack Polished stainless steel wire dish rack with rubber feet to protect sink from scratches. Dishwasher safe.